3G Aviation Media has been hosting aviation-themed photography workshops since 2013. Every year we have added new subjects, new locations and new topics. Click on the images below to take a look at some of our previous events from years past and get an insight into what you can experience at a 3G Workshop in the future! 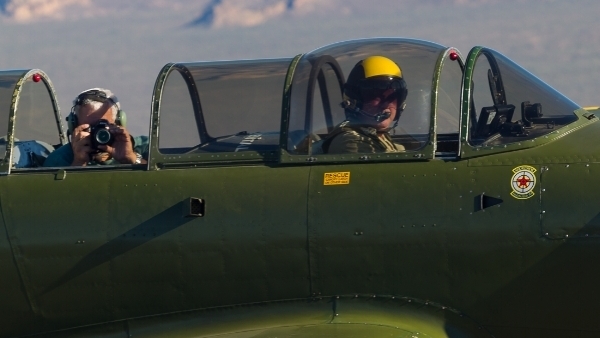 In 2019 we returned to Arizona for air-to-air events and hosted Photographer’s Chalets at some of our favorite airshows! In 2018, we have continued our CAF partnerships and expanded to the West Coast with our Airshow Photographer's Chalet experience. New locations, new aircraft and new opportunities! Our partnership with Stallion 51 continued, allowing us to share their exceptional collection of Mustangs with our students. A third year of the Atlanta Warbird Weekend saw our introduction of air-to-air photography workshops, along with our first West Coast workshop in Phoenix. We returned to the Atlanta Warbird Weekend and offered our first-ever workshop at a military airshow, exposing our photographers to the unique opportunities at the MCAS Beaufort airshow. We expanded our partnership to work with the team at Stallion 51, the Mid-Atlantic Air Museum, and hosted a workshop at the first Atlanta Warbird Weekend. Our inaugural workshop was hosted in a partnership with the Commemorative Air Force - Dixie Wing.